Please join us for a roaring 20’s celebration honoring members from the McGeorge community for their public service. Proceeds will provide McGeorge students modest stipends through the PLSS Summer Grant Program to work for non-profit or governmental organizations. 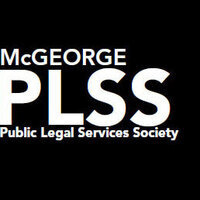 Because of the PLSS Summer Grant Program, Pacific McGeorge law students have been able to provide legal assistance to children, victims of domestic violence and sexual violence, immigrants, farm laborers, low-income tenants, and the state and federal court systems. Students have also secured positions to serve in areas of public defense, water resources, elder care, and district attorney offices. These services are crucial to the support of our community and the well-being of our most vulnerable populations.